These new digital banks accounted for 5% of UK consumer money transfer in 2018, according to research we provided for the FCA last year. A year before, they didn’t even register. 1) Banks own the customer, but digital banks now own millions of customers too. 2) Digital banks are still focused on customers not revenue, so pricing can be very aggressive. Monzo and N26 have simply plugged TransferWise into their product with no additional markups. Starling Bank, after flirting with TransferWise, decided to build its own payment product, albeit with a similar pricing structure. 3) Traditional banks still have the widest range of services but the new digital banks have their own customer hooks. Deposit or savings accounts, loans, and mortgages are currently enough to pull millions of new customers in. 4) Since digital banks are the newest kids on the block, they are unencumbered by historical tech debt and are inherently more mobile friendly and tech forward. That only helps when it comes to user experience. 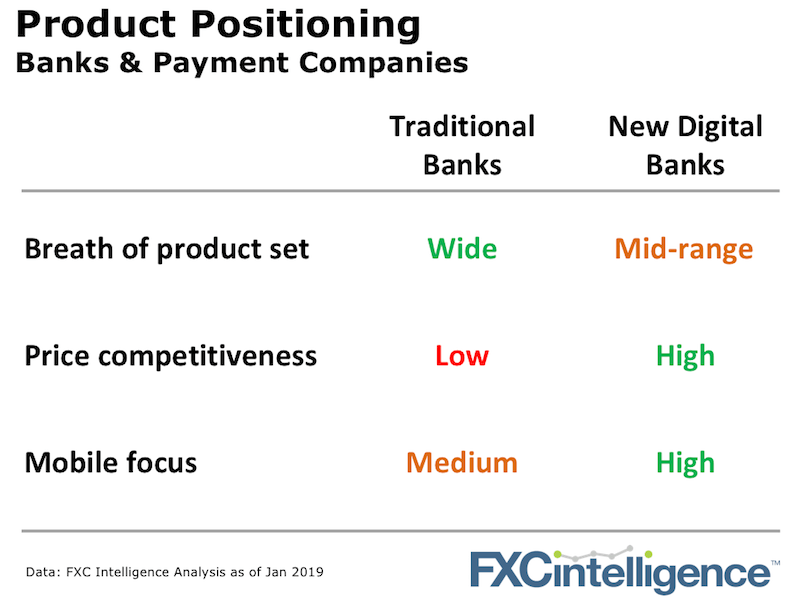 So how do these new banks fit alongside the dedicated payment companies? 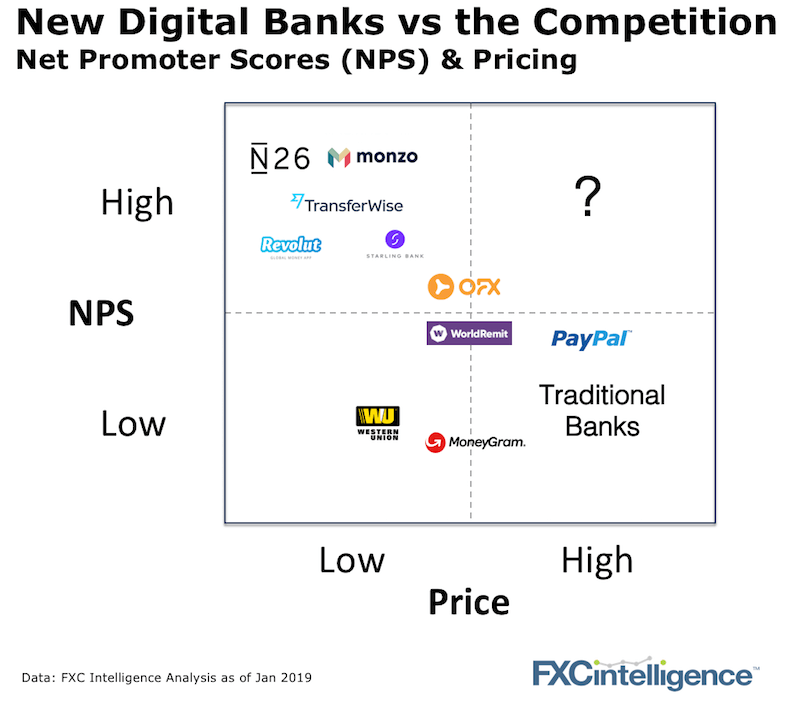 The only players in the market who have Net Promoter Scores close to fintech’s like TransferWise and Revolut are the new digital banks. Monzo claims to have an NPS above 80, which would be in line with TransferWise and Revolut (according to our NPS data).